Million Dollar Mile is set to revolutionize TV with the premiere of the most extreme obstacle course ever. Watch as the contestant’s race through the streets of Los Angeles and go toe to toe with the Defenders, a group of top-tier athletes who will do anything to make sure that the challengers don’t finish the course and take home the coveted million dollar prize. 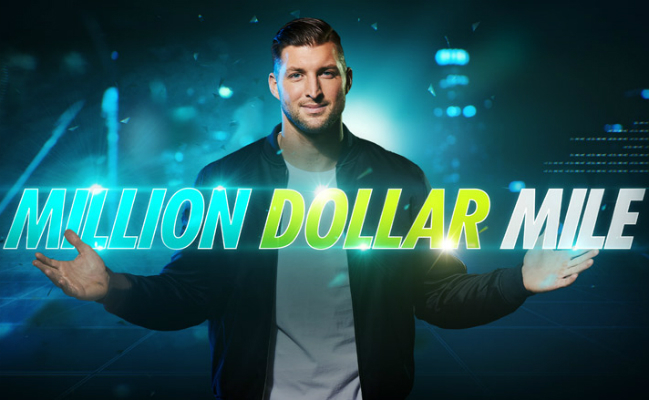 From Executive Producer LeBron James and hosted by Tim Tebow, this show is sure to be one for the record books!